Introducing Captain's Quarters, a BRAND NEW boutique community situated steps from "America's Hottest New Neighborhood"! 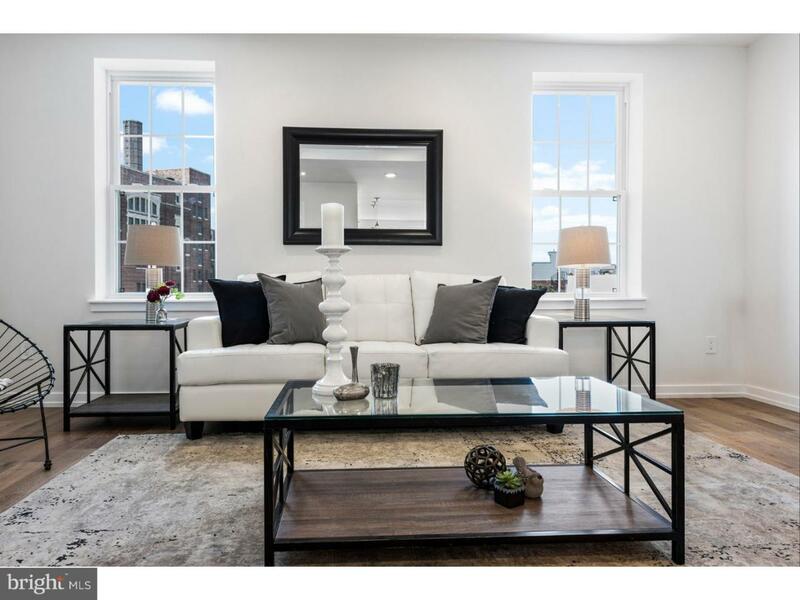 CQ Frankford is comprised of eight unique one- to three-bedroom residences, all outfitted with the latest in contemporary living. 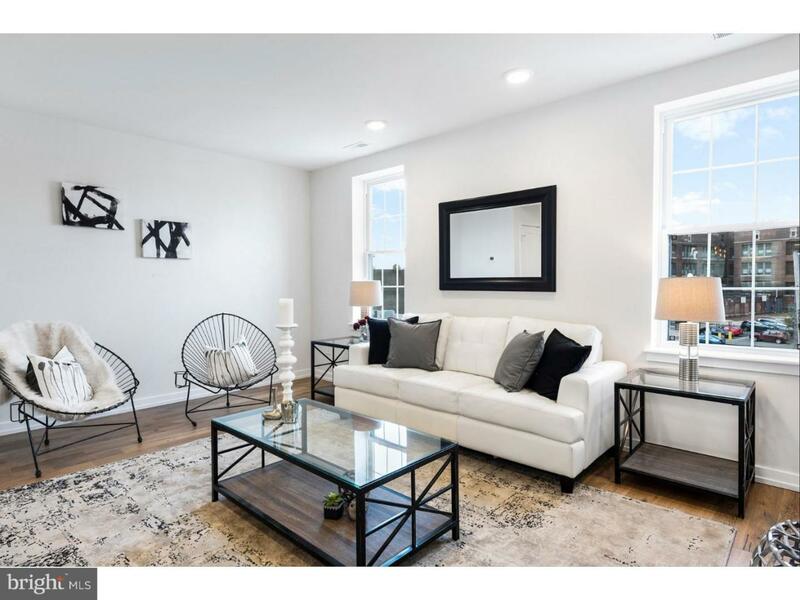 Step off Frankford Avenue and in to Residence 8, a BI-LEVEL condo boasting 2 bedrooms, 1.5 bathrooms and PRIVATE ROOF DECK! Turn the key and enter into this residence's first level, which houses both the master and second bedrooms. The sunny master suite is large in stature and features dual-exposure windows and abundant closet space. The second bedroom and is just a few steps way -- as is the hall bathroom, which boasts modern gray tiling and a striking gray-veined vanity. Head upstairs to your massive open concept kitchen, living and dining room. 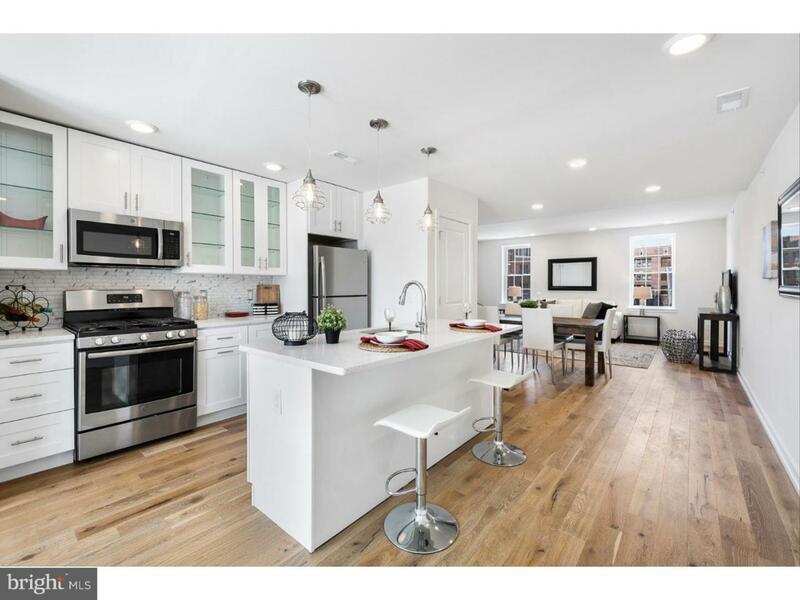 Sleek white shaker cabinets and speckled gray quartz countertops are beautifully joined by a marble-effect backsplash in the kitchen that is outfitted with GE stainless steel appliances, a gas range and slow-close drawers. Enjoy breakfast at the kitchen's central island or take your coffee and newspaper outside, to your private roof deck -- the only private outdoor space in the community! Step back inside and walk a few steps to the large living room that enjoys generous sunlight and is flanked by a powder room, perfect for entertaining! Dinner party buffs, have no fear! 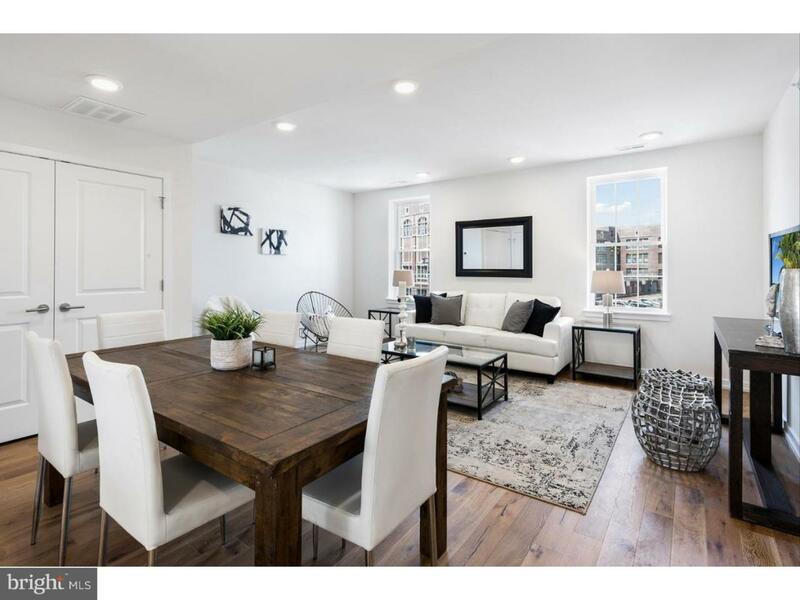 This open concept gathering floor contains plenty of room for your full-size dining room table! Residents love the TAX ABATEMENTS, in-unit front-loading washers and dryers, camera intercoms, private storage rooms and access to the community's roof deck! Enjoy the perks of living along on Frankford Avenue; stop by Cake Life or La Colombe's flagship for coffee and a sweet treat; and stroll in popular Soup Kitchen Cafe with friends for a relaxing lunch before enjoying a wood-fired meal at WM Mulherin's Sons the same evening. 4 AFFORDABLE UNITS REMAIN. Get in on the action before the neighborhood's next big boom! CQ Frankford is convenient to SEPTA public transportation.